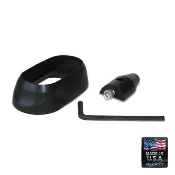 Lightning Strike Products designs and manufactures accessories for a variety of firearms. All of our products are designed to improve both accuracy and reliability. We continually strive to produce innovative quality products for the firearms enthusiast. Thanks to the innovative Striker design and superior raw material, our products can help you reduce your Lock Time by up to 50%! Reduced lock time means improved accuracy. Get the maximum amount of performance out of your firearm with Lightning Strike Products! Manufacturer: Lightning Strike Products, Inc. Copyright © 2011-2019 Lightning Strike Products. All rights reserved.